Day 1: The Kurds are the fourth largest ethnic group in the Middle East after the Arabs, Persians and Turks. Still, for hundreds of years, this huge population of some 25 million has lived under the governments of Turkey, Iran, Iraq, Syria and Armenia. At times the Kurds have clashed with governing regimes. In the late 1980s, Saddam Hussein launched a series of attacks against the Kurds of Iraq. The violence swept through nearly 5,000 Kurdish villages, leaving tens of thousands dead. Pray for peace. Pray that those who would seek revenge for these atrocities would have a change of heart through the salvation of Jesus Christ. Pray that Kurdish believers will lead others down the path of peace, rather than the wide road of destruction. Day 2: The majority of Kurdish people have no access to the gospel. High illiteracy rates among the Kurds create obstacles to sharing the Word of God. The Kurds speak four different dialects of the Kurdish language, which further complicates the quest of bringing them the gospel of Jesus Christ. Pray that God would use every means necessary—Christian witnesses, the Word, dreams and visions—to bring Kurds into His kingdom. 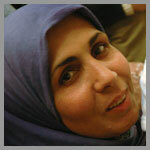 Ask God to multiply His church among the Kurds. Pray that God would have mercy on the Kurds who need to hear His message of hope. Day 3: Kurds in Turkey have very little access to the gospel, partly because there are not many mission workers among this group, though by His Spirit God has used workers in Turkey to bring some Kurds to faith in Him. Though isolated, these new believers join a small, but growing body of Kurdish believers, who believe in the good news of Jesus Christ. Today workers are developing audio and visual materials in the Kurdish dialect spoken in this region. The work is critical since most Kurds do not read or write in their own heart language. Ask God to help workers complete these projects quickly so that the good news of Christ’s salvation will soon get into the hearts and minds of the Kurds of Turkey. Pray that God will call more people to work among the Kurds in Turkey, where conditions may be difficult and demanding. Day 4: More than 5 million Kurds live in Iran. 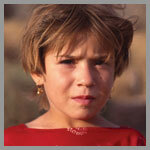 Primarily located in the northwest region, most Kurds live as marginalized people within the country. They are often left with a poor selection of jobs, which include shepherding, small-scale farming and trading. Good education is also hard to find. Kurdish children often grow up with limited access to schools, forcing many into a life of illiteracy. Pray that Christian radio broadcasts and oral Scriptures in Kurdish dialects, will reach the ears of Kurds. Pray for believers who are creating Kurdish praise and worship music. Day 5: The word “Anfal” strikes fear into the hearts of the Kurds of northern Iraq. The Anfal campaign was the name given to a series of Iraqi military offensives conducted between late February and early October 1988. Artillery, war planes and helicopters were used to destroy up to 5,000 villages and possibly killed more than 100,000 people. In addition Ali Hassan Al-Majid, know as “Chemical Ali” used a chemical attack on the city of Halabja to kill thousands of Kurds in one day. Hopelessness pervades this area of Iraq. The trauma of the attacks, along with the continued pressure of poverty and displacement, has taken its toll. Medical needs range from psychological problems, to birth defects, to a significant rise in the cancer rate. Pray for healing among the Kurds of Iraq. Pray that God will send Christian workers to this region. Day 6: Nearly 2 million Kurds live in Syria. Although some Kurdish tribal groups have lived in the country for generations, many arrived from Turkey between 1924 and 1938, when officials launched unpopular reforms. The majority of Kurds are Sunni Muslims, but there is a small population of Christians. Pray for these small pockets of Christians. Pray that strong Christian leaders will emerge from these groups. Pray for boldness and faithfulness for these believers and for Christian workers in the area.